Part of the Hogarth Shakespeare project in which well-known authors retell the works of Shakespeare, this is Margaret Atwood's take on The Tempest. Prospero is embodied by an embittered theatre director, Felix, grieving over the loss of his 3-year-old daughter Miranda. Obsessively throwing himself into his work Felix looks up to discover his job as Artistic Director of the Makeshiweg Theatre has been stolen from him by onetime assistant Tony. Felix retreats into exile in a shack in the wilderness with only the imagined ghost of his daughter for company. Twelve years later Felix is ready to re-enter the world, finding a job as a literature teacher to inmates at a local prison, and through his new work he finds he has means and opportunity to avenge past wrongs. The character of Felix is at the heart of the story and despite the fact that lots about him is unlikeable – he is embittered, self-obsessed, delusional – most found him engaging and by the end were rooting for him. We liked the over-the-top descriptions of his most indulgent productions ('why did Pericles have to be staged with spaceships and extraterrestrials instead of sailing ships and foreign countries and why present the moon goddess Artemis with the head of a praying Mantis?'). But Felix is also passionate and driven, an inspired director who knows how to bring Shakespeare to a modern audience, as the success of the Makeshiweg Festival testifies. The novel is cleverly structured – if The Tempest is a play within a play then this is a play within a play within a novel and Atwood draws on the themes of prisons both internal and external. The journeymen actors of Shakespeare's day are recreated here by a cast of criminals from different walks of life, laywers, accountants and computer hackers down to small-time drug dealers and shoplifters, and Atwood has particular fun with language. Felix insists the actors are only allowed to use curses from the play, with the result that the dialogue is peppered with phrases such as 'A pox o'your throat'. Hag-seed, from which the novel takes its title, is one such curse but is also the nickname for Caliban played by an ex-military vet and drug and drink addict known as 'Leggs'. As the prisoners grow to know the play they improvise scenes with rap lyrics while dancer Anne-Marie, who has been hired to play Prospero's daughter Miranda, helps them with the choreography. We liked the aftermath in which the prisoners imagine what became of Shakespeare's characters after the play's denouement. Interwoven amongst all this is Felix's own inner story of grief and loss, and the descriptions of his relationship with the ghostly Miranda are poignant and moving, and often very beautifully written. Some felt the knowledge that the text had been written to commission somehow undermined its originaliy, and that it was the enjoyable execution of an idea, but that there wasn't very much more to it. There was debate about how well the characters had been developed. Overall though we found it to be a fairly invigorating reminder of how powerful and adaptable Shakespeare is and Hag-Seed was an inspiring reworking of a text most of us were familiar with, but enjoyed seeing recast. This is an undemanding and diverting read that would probably best suit fans of Atwood or who had a particular interest in Shakespeare and The Tempest. We thought it would be interesting read in the context of the other texts in the series, of which Jeanette Winterson's Winters Tale and Howard Jacobson's Merchant of Venice have been published, while others such as Gillian Flynn's Hamlet and Jo Nesbo's Macbeth are still to come. A staggering work of heartbreaking genius. 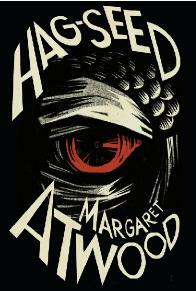 Atwood cleverly reworked the play and I enjoyed reading this. I liked the raps (and didn't find them derivative of Hamilton!) The character of Felix / Prospero was vivid and real to me and I wish I'd had a teacher as inspiring and compelling about Shakespeare when I was at school. A good idea, I haven't read The Tempest so didn't have the play in my mind. But for me there wasn't much to this, it felt like Atwood just knocked it out. It was more like a lesson on The Tempest than a novel. I really got lots out of this. I thought the retelling was clear and I liked the way the parallels crept up on you. I think the book achieved what the author set out to do very well plus it was entertaining and taught me about Shakespeare in a way that I found valuable. I'm not sure I would recommend this to anyone who wasn't interested in Shakespeare and The Tempest, but I found it inspiring. I found the Felix character compelling, and heard his voice in my head as I was reading. A light and enjoyable read. I quite enjoyed reading this but it took me a while to finish (I was easily distracted by other things) and I found it to be a little bit of an exercise. I did The Tempest for A-level and found it slightly muddled then, and this didn't really enlighten me. The two Mirandas were really interesting and the twist at the end very moving. But not entirely successful for me as a novel. I love The Tempest. I thought there were passages in Hag-Seed that were sublimely beautiful. The passages concerning Felix's emotions for his lost daughter, his grief intermingled with love, were luminous and affecting, and there were aspects of the way Atwood cleverly constructed her plot that I appreciated. 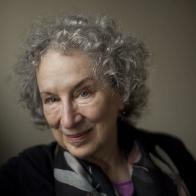 What a shame, then, that I found the rest of it so completely awful, from one-dimensional characters to dialogue that made me wince, and I found the contortions Atwood puts her characters through in order to mirror the original text fatiguing. (Literally, I fell asleep twice reading this book.) None of this would matter if I didn't think Atwood was a good writer – I felt robbed. April book club (2017) saw us at Andy's house for a feast of delicious fat new-season asparagus and aubergine parmagiana. Much spirited and enjoyable discussion of the book. Also discussed: how Andy should convert the turret in their house into a teeny tiny room • A Whole Life, Robert Seethaler • how much men have to pay to use E-Harmony (while women don't?) • Margaret Atwood on stage (according to Robert, the most unengaging author reading he's ever witnessed) • the Ben Affleck film The Accountant • Venice • the cost of an Uber from Queen's Park to Ealing.